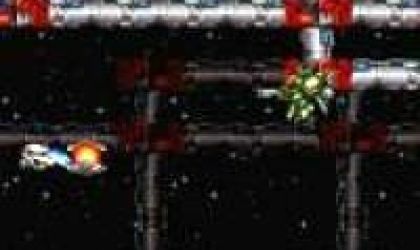 The best freeware shooter ever? G-Type is one of the best freeware shooters I have ever seen. As with all shooters, you fly your craft around blasting things out of the sky. G-Type just takes it one level further by adding a certain flair that I've found addictive. There are 5 HUGE levels to blast through and each is challenging and beautifully drawn. G-Type definately is the nicest shooter that I've ever played and I think definately deserves a download. I love this game with all my heart! 15 regular stages plus 3 bonus stages and a bonus boss rush, this is the perfect fusion of R-Type and Gradius! My only gripes are you can't play as Vic Viper and there is no simultaneous play. But this is minor, and this game is major awesomeness! Ah The good ol' G-Type, a classic side scrolling shooter game and also one of the best of its genre. What can I say, I have to give this a high rating because this a classic. G-Type is a great space shooter but the gameplay is very limited and there is an absence of a 2-player mode. If you like this game play Operation Spacehog. I bet this is the best shooter ever. It has cool music and game play. I like those things, which give you power-ups. My favourite is the laser. I loved the way they fused R-Type with Gradius, two great games that make a unique package when fused.